The thyroid is a butterfly-shaped gland that is located in the lower part of your neck directly below the Adam’s apple. Your thyroid gland is responsible for governing your body’s metabolism. It releases the hormones you need to regulate how your organs perform. Read on to discover more facts about this gland. 1. Hyperthyroidism v. Hypothyroidism – What is the Difference? Hyperthyroidism refers to an overactive thyroid. An overactive thyroid produces extra hormones, which cause the organs to perform too quickly; whereas, hypothyroidism refers to an underactive thyroid. An underactive thyroid does not produce enough hormones. This lack of thyroid hormones causes organs to perform at a slower pace. An individual with hyperthyroidism is usually thin; while, an individual who has hypothyroidism tends to retain salt, fat and water. Other symptoms associated with hypothyroidism include unreasonable weight gain, fatigue, peeling nails, constipation, muscle cramps, as well as dry hair and skin. In addition, an irregular menstrual cycle can be a symptom of hypothyroidism. 2. Does a Normal Thyroid-Stimulating Hormone (TSH) Level Verify When an Individual Does Not Have Hypothyroidism? Not necessarily, an individual can have hypothyroidism despite the fact that his/her TSH blood test result is within the normal range. Unfortunately, this inability to determine the patient’s TSH level can make it difficult for an endocrinologist to prescribe the proper hormone dosage. 3. Does Everyone Who Needs Thyroid Medication Have to Take Cortisol to Support Their Thyroid? Individuals who have Addison’s Disease, an autoimmune thyroid disease or any other condition that causes adrenal insufficiency will need to take cortisol before beginning their thyroid medication; however, this refers to a very small percentage of people. Individuals who do not have the symptoms related to adrenal insufficiency do not need to take cortisol before beginning their thyroid medicine. 4. 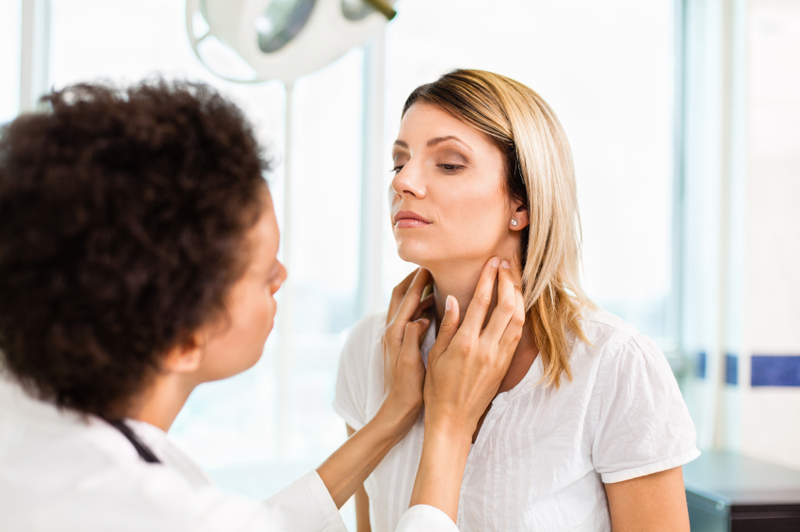 Can I Replace My Thyroid Medication with Iodine Products? Using iodine products as a means to increase the iodine levels in your body without consulting your endocrinologist is not recommended. Taking additional iodine can actually make hyperthyroidism and hypothyroidism worse. Individuals with thyroid disease should not take iodine supplements without discussing it with their endocrinologist; nevertheless, the amount of iodine found in multi-vitamins and table salt is generally of no concern. The American Thyroid Association states that prior to the 1920s, iodine deficiencies were common. In 1924, sodium iodate was first added to table salt: This has drastically reduced the number of individuals with iodine deficiencies in the U.S. Michigan was the first state to add sodium iodate to table salt (May 1, 1924). Sodium iodide is a salt that can be transformed into an injectable medication for individuals who have low iodine levels due to poor nutrition or malabsorption issues. 5. Is It True That Individuals who Have Hashimoto’s Hypothyroidism Should Eat a Gluten-Free Diet? Hashimoto’s hypothyroidism and celiac disease are both autoimmune diseases. It is more likely for an individual with Hashimoto’s hypothyroidism to get celiac disease. Even so, the majority of the patients who have Hashimoto’s hypothyroidism do not have celiac disease; therefore, they do not have to eat a gluten-free diet. We hope this post answered a few of the questions you have about iodine deficiencies and medications. If you have any further questions, please contact Ajay SQM Group.